Satanic Temple was suing Netflix for $50 million under copyright infringement. The Satanic Temple settled the $50 million lawsuit against Netflix for Chilling Adventures of Sabrina supposedly appropriating and stealing the design of their Baphomet statue. According to a statement co-founder Lucien Greaves released, the decision was amicable. 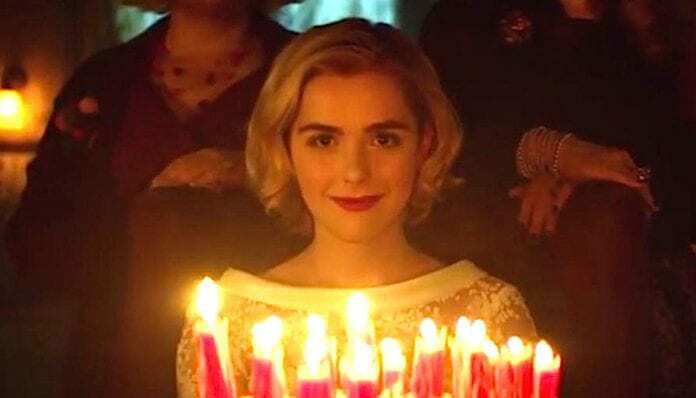 In October, the Satanic Temple threatened legal action against Netflix and Waner Bros. Entertainment over their statue being featured in Chilling Adventures Of Sabrina. Greaves took to Twitter share that they are suing over the Baphomet statue, which is a copyrighted monument. “Yes, we are taking legal action regarding #TheChillingAdventuresofSabrina appropriating our copyrighted monument design to promote their asinine Satanic Panic fiction,” he writes. Greaves also shared a note about the response they received about the lawsuit. “Many people immediately supported our copyright claim and felt they recognized it to have clear merit. Surprisingly, to me, however, there were also a large number of people who flooded us with hate mail and armchair legal analysis,” Greaves writes. You can here the statement in full here.